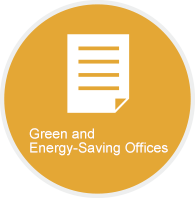 Hitachi has formulated and revised environment-related policies and objectives many times to carry out environmental activities in order to keep pace with the times. This includes a revision of the "Hitachi Environmental Concept", establishment of the long-term environmental goal "Hitachi Environmental Innovation 2050", and formulation of the three-year concrete action plan "Environmental Action Plan 2018". 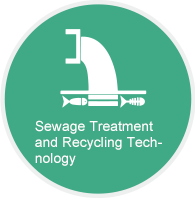 In order to reduce the environmental load of products and services, Hitachi Elevator is dedicated to the reduction of product CO2 emissions, resource recycling and management of chemicals contained in products. For projects, we carry out load evaluation at the development and design stage, and recognize products satisfying the standards of "Environment-friendly Products", to promote the development of environment-friendly products and services. 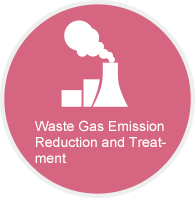 Hitachi elevator made the greenhouse gas emissions, waste, chemicals and water reduction goals. Hitachi elevator five manufacturing base, two core parts manufacturing base in accordance with the Hitachi group "selected environmental protection factory & office building standards. At present, all manufacturing bases of Hitachi Elevator in China have been recognized as Hitachi Group's "Selected Environment-Friendly Factories & Offices". For more than a decade since 2005, when it became a member unit of Alxa SEE Ecological Association, Hitachi Elevator has been committed to donating RMB100,000 a year to support China's environmental protection. In 2015, it became a lifelong member of Alxa SEE Ecological Association, and will continue to cooperate with Alxa, hand in hand, to support China's environmental protection. Since 2010, Hitachi Elevator has responded positively to the environmental initiative "Earth Hour" of the World Natural Fund and called on stakeholders to focus on climate change. Since 2012, Hitachi Elevator, as one of the first donors to Shenzhen Mangrove Wetland Protection Foundation, has cooperated with such enterprises as Vanke Group, WorldUnion, Tencent, and China Merchants Bank, etc., to actively promote conservation of the mangrove forest in South China. Since 2004, Hitachi Elevator has been sending volunteers to Alashan every year to participate in the "100 million Sacsaouls" Planting Campaign with members of SEE from all over the country, indicating that Hitachi Elevator does its best to support prevention and control of desertification in the Alashan region.